Click here to watch the 2011 Celebrate Great Teaching Awards recipients receive their awards. 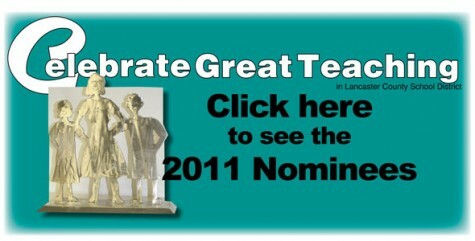 Click here to watch the 2011 Celebrate Great Teaching nominees from each of our schools. Click here to watch 2010 District Great Teaching Award winner Kristal Salyer's message to teachers during the district opening meeting.